To both commemorate the new year and celebrate fifty posts on Teaching Speaks Volumes, I have updated the layout and look of the blog. The header features artwork from a very talented colleague, Lynda Boltz. Her talents can be reached at lynda313@aol.com. 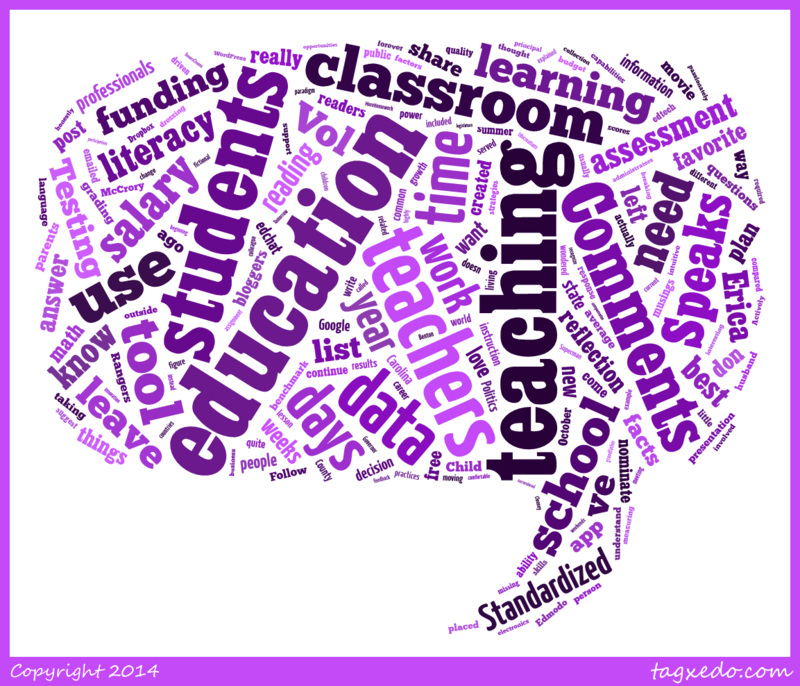 I love using word clouds (via Tagxedo or Wordle) with students. I have created them for short stories we will study or using students’ own writing. A word cloud sizes words to highlight their frequencies of occurrence within the writing. Hi! Yes, I’d love any data and analysis! It’ very interesting that different districts put their own spin on the state interpretation. You can reach me rickylynne76@gmail.com. I look forward to hearing from you!